Borrowers looking to reduce and fix their biggest monthly outgoing may be able to save by switching to one of Chelsea Building Society’s latest market-leading mortgages. 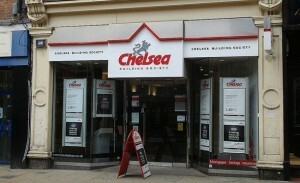 The Chelsea has cut rates on short term fixed rate mortgages by up to 0.35% to challenge for the top of the best buy tables, offering a two year fixed rate mortgage at 2.34% and a five year at 2.89%, for 75% LTV (loan to value). For first time buyers and others with a smaller deposit, two and five year fixed rate mortgages at 90% LTV are available at market-leading 3.69% and 4.39% respectively. “These are fantastic rates – the Chelsea is known for its competitive mortgages and we are always looking to offer the best value products to borrowers,” said Chelsea Building Society Product Manager Sunjeev Sahota. “We have market-leading rates at 90% and 75% LTV with a choice of fixed terms, from two, three or five years, as well as a choice of fees and incentives, including cashback, for borrowers wanting to minimise their upfront costs.